Level 20 Family, Gaming Peripherals, Gaming Chairs and MORE! 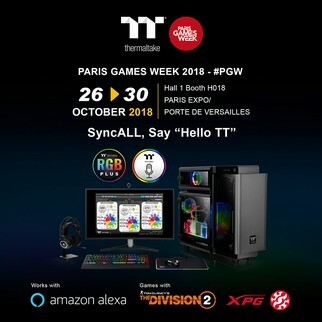 Paris, France－October 19th 2018－Thermaltake and Thermaltake Gaming Tt eSPORTS are excited to showcase variety of gaming items in the Paris Games Week 2018 (abbrev. PGW), from Friday, October 26th to Tuesday, November 30th, at the Paris Expo located in Porte de Versailles. 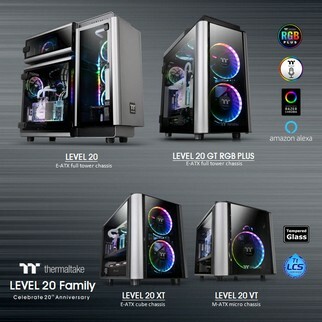 Thermaltake will display Level 20 Series chassis, powerful RGB power supplies, vibrant RGB cooling systems and many more to show. 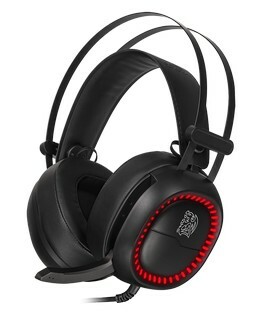 Tt eSPORTS will present a line of professional gaming peripherals such as TT Premium X1 RGB Cherry MX Silver Mechanical Gaming Keyboard, IRIS Optical RGB Gaming Mouse, Talon Elite RGB Gaming Mouse, SHOCK Pro RGB 7.1 Gaming Headset, DRACONEM RGB Touch ID Edition Mouse Pad and professional gaming chair series that allow gamers to play for long time. Another key thing is, this year Thermaltake also will display the amazing works by French modders, including Moulard Mathias (AxiomModding) and Olivier Maillet (Elladan). Their casemod all have cool and astonishing look, some even inspired by film themes, please come and check them! The Thermaltake booth is located in Hall 1 (H018), we look forward to your visit! 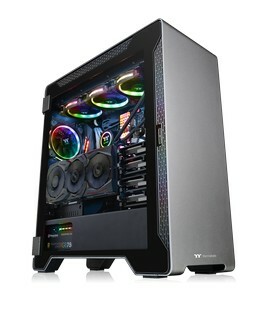 A500 Aluminum TG Edition Mid-Tower Chassis features aluminum front panel structure, two enlarged tempered glass windows, two preinstalled 120mm front fans and a 120mm rear fan. It has a built-in power supply cover for clean cable management and also supports up to a standard ATX motherboard. 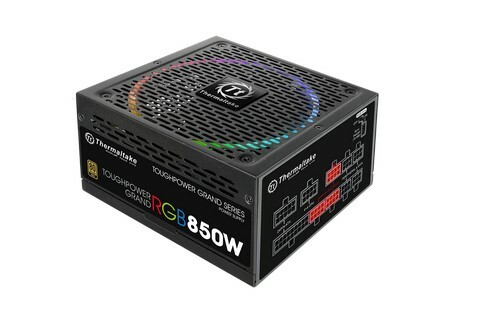 As a leading brand in premium PC hardware and liquid cooling technology, Thermaltake comes with Toughpower Grand RGB (RGB Sync Edition) Gold PSU, Toughpower GX1 Series PSU, Smart BX1 RGB Series PSU, Riing Trio 12 Radiator Fan TT Premium Edition, Pure Plus 12 Radiator Fan TT Premiuim Edition, and other colorful cooling products. 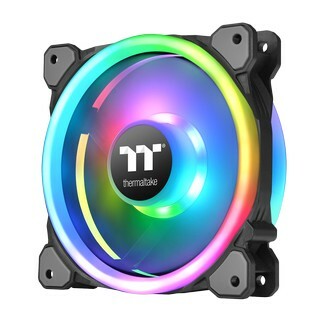 Come and experience PSU and cooler in TT RGB style. 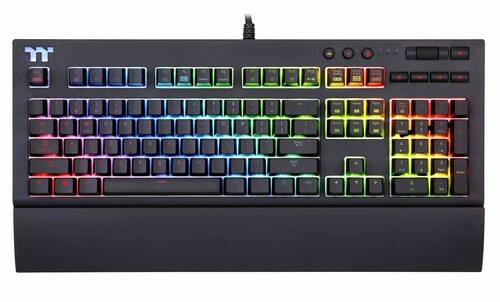 At Thermaltake booth, the TT Premium X1 RGB Cherry MX Silver Mechanical Gaming Keyboard, IRIS Optical RGB Gaming Mouse Talon Elite RGB Gaming Mouse, SHOCK Pro RGB 7.1 Gaming Headset and DRACONEM RGB Touch ID Edition Mouse Pad, etc will be available for fans to experience. Tt eSPORTS will be providing different gaming chairs for fans to try out. Other than the classic GT Fit F100 Gaming Chair and GT Comfort Gaming Chair, fans are also able to experience the world’s first X COMFORT AIR Cooling Professional Gaming Chair and the luxury X-COMFORT Real Leather Edition Professional Gaming Chair! 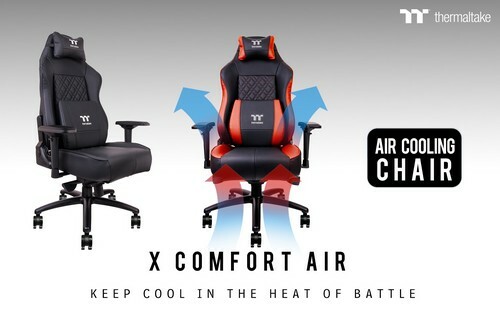 X COMFORT AIR Cooling Professional Gaming Chair comes with two colors, true ergonomic form and maximum function design, it also allows users to easily adjust their cooling with a 3-button controller for desired air-cooling performance. As for the X-COMFORT Real Leather Edition Professional Gaming Chair, it has a stunning all-black genuine leather covering found in top-level sport vehicles, coupled with elegant upholstery, and, of course, ergonomic design. Paris Games Week also referred to as PGW is one of the largest and most important gaming shows in France. It is held annually, since 2010, and attracts more than 200,000 visitors each year.